Manhattan, NY According to Savanna, a real estate investment manager, Knotel signed a seven-year, 23,000 s/f lease at 31 West 27th St., a 12-story, 144,500 s/f office and retail building in the NoMad neighborhood on 27th St. between Broadway and Sixth Ave. The Beaux-Arts style building, featuring paneled limestone and cast-iron columns, is situated in the midst of one of the borough’s most exciting neighborhoods, two blocks from Madison Square Park and within walking distance of multiple subway lines as well as fine restaurants, premier hotels and major retailers. “31 West 27th St. offers a rare combination of attributes–an incredibly strong location in one of Manhattan’s best office neighborhoods, and a historic look and feel that tenants desire,” said Brian Reiver, managing director of Savanna. 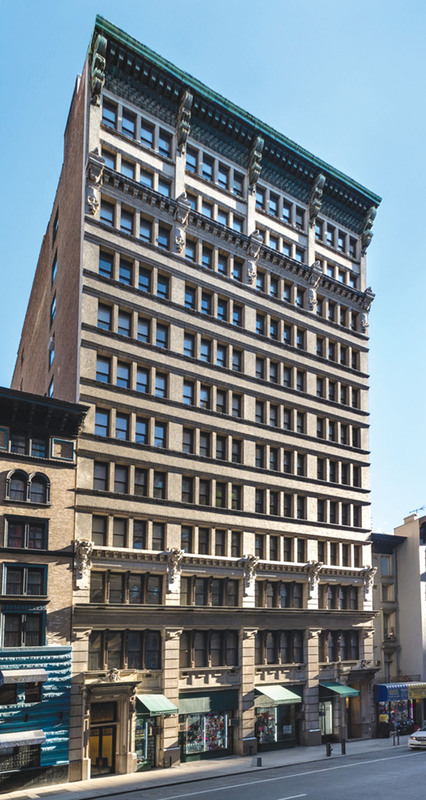 “We are thrilled to welcome Knotel to our tenant roster at 27th St. as we think it further enhances an already strong, diverse, and creative tenant base, and confirms Savanna’s vision for this building,” said Patrice Meagher, a senior vice president in the brokerage services group at CBRE’s local office. Originally constructed in 1910, 31 West 27th St. is a loft-style building with superior physical characteristics including open floor plates of 11,578 square feet, generous 12’6” to 14’ barrel-arched ceilings, and abundant light and air. The property is home to a diverse collection of TAMI and professional services firms and is in close proximity to 12 subway lines, Penn Station, and the PATH train. Paul Amrich, Neil King, and Patrice Meagher of CBRE represented the ownership in the seven year lease. Michael Morris and Greg DiGioia of Newmark Knight Frank (NKF) represented Knotel. Savanna is currently undertaking a comprehensive capital improvement plan at 31 West 27th St. to further elevate the property within the NoMad submarket, including renovations of the lobby, building systems, façade, roofs and sidewalk vault. Savanna is also renovating and repositioning the retail storefront to improve the building’s street presence as well as the overall tenant and visitor experience.